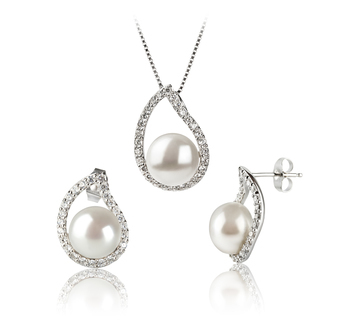 A timeless and classic collection of the best in the Isabella White Freshwater Pearl and .925 Sterling Silver line makes this necklace and earring set a must have. 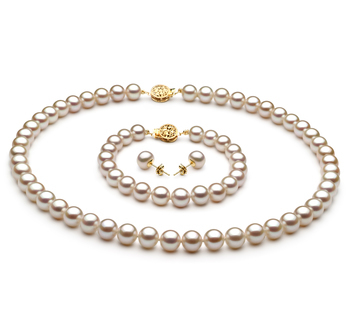 The genuine overall quality of the White Freshwater Pearls (AAA) offers a near perfect shape and luster and then combine it all with the 100% Nacre. 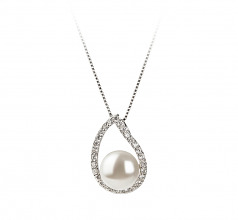 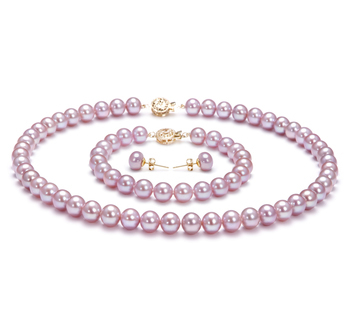 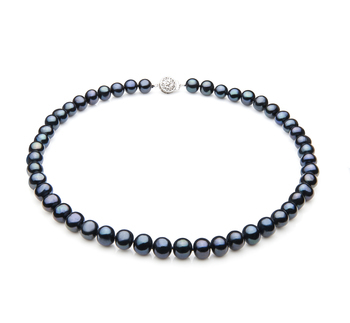 It creates a stunning and magnificent combination of a dazzling and sparkling sheen across the surface of the pearls. With the addition of the cubic zirconia accents and the .925 Sterling Silver Tear Drop Designed Pendant and Earrings, the design becomes more vibrant and alluring to those who seek to impress. 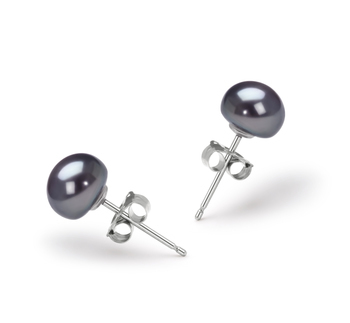 The options are limitless, you can wear it as a set or individually. 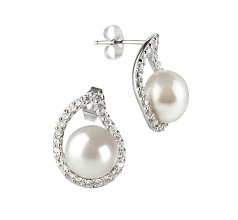 Either way, your wardrobe is already looking up, fashionable and trendy in more ways than one.